Poppers and Stick Baits for Jack, Amberjack, Red Snapper, Roosterfish, Barracuda, King Mackerel, Dolphin, Yellowfin Tuna and Sailfish. Jigging and Vertical Fishing for Amberjack, Yellowfin and Black Grouper, Jack, Roosterfish, Red Snapper, Yellowtail Snapper, Pompano, Yellowfin Tuna, Wahoo and many others. 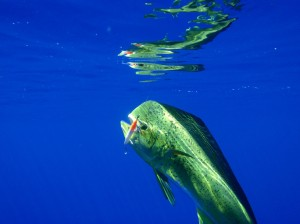 Trolling offshore, we troll whith teasers, surface and sub-surface stick baits and, at times, live and prepared baitfish. 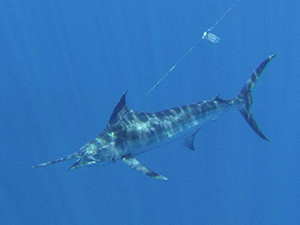 For Marlin, Yellowfin Tuna, Sailfish and Wahoo. Prime fishing only 30 minutes from shore. 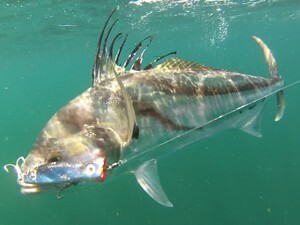 Trolling in shore using a Downrigger whith live bait is always very effective on all predators particularly; Jack, Amberjack, Red Snapper, Roosterfish, Barracuda, King Mackerel. The essential technique Samara Fishing Trip employs is “Catch and Release” when at all possible. This helps to ensure preservation of the species and contributes to the possibility of future memories for the next generation of anglers.